The Winner Is: Award Season in Palm Springs! Check out at this lineup of celebrities: Reese Witherspoon, Benedict Cumberbatch, Michael Keaton, Steve Carell, Julianne Moore, Brad Pitt and Robert Downey, Jr. It looks like every supermarket tabloid editor’s dream for front page hot gossip news stories, doesn’t it? Actually, these notables were among the glitterati who recently attended the Palm Springs International Film Festival gala awards festivities at the Palm Spring Convention Center. My husband and I were fortunate to be among the attendees as well, so we got a good dose of star exposure that evening. As with many events staged in Palm Springs, La Quinta and the general Coachella Valley area, the film festival awards evening has grown significantly since it started back in 2002. Festival Chairman Harold Matzner told us that night that only 200 people attended the first awards gala. This year, there were 2,400 of us in the audience. If you’re a film buff at all, take a close look at that list. You may want to try to see any you have missed. The Palm Springs International Film Festival is the first movie awards event of the year and many times what happens here gives us a clue as to which actors, directors and producers will be walking away with Oscars in their hands later in the season. Events on the desert often foreshadow things that occur throughout the year. I don’t know if the film festival organizers selected January in the Coachella Valley because our weather is so nice, but I do know that the professional golfers roll into town this time of year because of the climate. This year the Humana Challenge in partnership with the Clinton Foundation comes to PGA West and La Quinta Country Club from January 19-25. This was formerly the Bob Hope Classic. I know that our local golfers are anxious to see how the pros look at the beginning of the season. Will Tiger Woods get back to form? As I write this it’s not known exactly who will play, but one favorite – Phil Mickelson – has said that he’ll be in La Quinta for sure. Last year the Humana field of players ended up claiming 20 PGA Tour titles, including the golfer who won the FedExCup title – Billy Horschel! As I close today’s article, I want to reflect on how wonderful it is to live in a place where you can attend an event with the celebrities I mentioned in my opening and then play a round of golf on a course that will soon host pros like Phil Mickelson battling it out for their share of a $5.7 million purse. Not only that, you can live in the communities that surround the PGA West and La Quinta CC. And, if you’re familiar with La Quinta, Indian Wells and Coachella Valley real estate, you know that the offerings range far wider than those two. 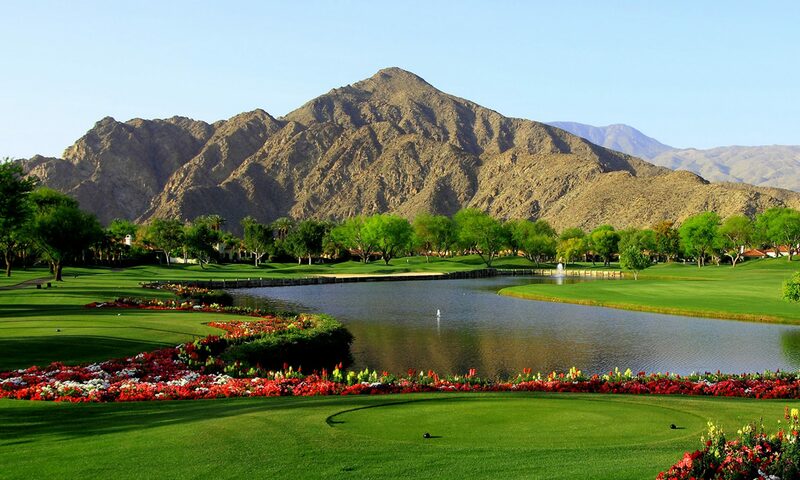 For example, the La Quinta Resort has three great courses and several communities. The best way to give yourself an introduction to the courses and the communities is to download our free guide to Palm Springs Area Golf Clubs. You’ll see all the courses, towns and communities, as well as restaurants and other notable commercial areas. The guide also include some relative pricing information, for both homes and memberships. Of course, it’s just a start. When you want to learn more, give us a call and we can answer all your questions. Classic movies and local nostalgia recently crossed paths with the 75th anniversary of Gone With the Wind. If you went out for a movie in the month before the anniversary, you may have seen a trailer for a special two-night screening put on by TCM and Fathom events. It’s really one of those movies that you need to see on the big screen to appreciate and I hope a whole new generation has been introduced to this classic American movie and story. Okay, by now you may be wondering how this relates to real estate in the Palm Springs area, including La Quinta, Indian Wells and the other local communities, but I assure you it does. If you would like to have an up-close and personal connection to Gone With the Wind’s male star, you might consider putting in an offer on Clark Gable’s home in Palm Springs – it recently came on the market. And your connection to the Golden Days of Hollywood would stretch even further; Gable built the estate for his wife at the time, Carol Lombard. As you know, a lot of celebrities have owned and currently own property in the Coachella Valley, so it’s not all that unusual that one comes on the market that has something of a cachet. However, I can’t think of any that top Gable and Lombard. Gable, by the way, must have enjoyed the golf scene here. Golf was one of many endeavors he truly wanted to master. He buckled down, found a pro to teach him and vowed not to hit a course until he was ready. Gable worked at it for eight straight months and when he finally ventured onto the Lakewood course in Los Angeles, he shot an 81! If you want to take a few strokes off your game, La Quinta is your ideal home base. With our climate you can pursue your passion just about every day of the year. I feel bad for anyone who loves golf and lives in an area where the courses have to close over the winter months. And the great thing about La Quinta and the neighboring communities is not only do you have dozens of excellent courses within minutes, you can pick one and live next door to it. Some of the great options here include homes at La Quinta Resort, PGA West, The Tradition, Citrus Club and several others. If you download our free golf course resource guide, you’ll see that there are really too many to list here. The guide gives you a great map of the courses along with the details you need to judge relative prices of memberships as well as real estate. Once you get a feel for Coachella Valley real estate and golf from our guide, give us a call and we can answer any questions you have. We work hard to keep our clients informed and help them find the ideal home, because unlike Clark Gable’s infamous line in Gone With the Wind, we really care! I’ve written about desert architecture, hotels and celebrities here before. This time out I want to combine all three in a brief note about a very special place in Palm Springs: the Movie Colony Hotel. This little 16-room gem was designed by Albert Frey in 1935. Frey studied with the internationally famous and influential Le Corbusier in Paris and the Movie Colony Hotel was one of Frey’s first projects in the states. It it the epitome of desert style Mid-Century Modern architecture. Sadly, many classic examples of Mid-Century Modern have been lost throughout the Southwest over the years. The Movie Colony Hotel is a notable, and welcome, exception to this. Its owners, in fact, have lovingly restored the property. As its name implies, the hotel’s historic guest register boasts celebrity names such as Frank Sinatra, Dean Martin and even Jim Morrison. The hotel rocks on today and when you come to the Coachella Valley to look at real estate, maybe you’d like to add your name to its guest list. After a day of checking out properties, relaxing by the pool with your favorite refreshing beverage would be an ideal way to watch the sun go down. Not only will it restore your energy, the period architecture and decor will transport you back to an era when one of Hollywood’s glamor girls might have been the next guest to round the corner. But as much as I love iconic properties like the Movie Colony Hotel and reminiscing about the early days here, I have to admit that today’s Palm Springs, La Quinta, Indian Wells and neighboring communities offer some real advantages. First, the overall quality of real estate here today is vastly superior to the “old days.” Communities in and around golf course developments, boast homes to suit virtually every aesthetic. Spend an day with us exploring the La Quinta Resort as well as the homes around country clubs such as The Hideaway Country Club, Indian Ridge Country Club, The Reserve Country Club, Eldorado Country Club, Indian Wells Country Club and La Quinta Country Club and you’ll get a deep appreciation for the quality and selection in the real estate market here. And I’m not going out on a limb by saying that your golf course options are much greater and even superior to the courses the Rat Pack had at their disposal back in the day. No matter what your handicap is, or style of golf you prefer, you’ll find several courses here that meet your needs. If “seeing is believing,” then take a moment to download our golf course resource guide. It maps out all the courses in La Quinta and the surrounding area and gives you information regarding membership rates and more. You can get an overview of the communities that surround the various courses as well. Thanks for taking a few moments to read this post. I hope it has given you a little taste for what life is like here. Of course, there’s no substitute for experiencing it yourself. Give us a call so we can introduce you to the area. I’ve written about the historic connection between Hollywood and the Palm Spring-Coachella Valley area often here. Usually the topic centers around the celebrities who have homes here or who have been known to spend a lot of time relaxing in our area. However, there are two somewhat more direct connections between the movie industry and the desert: The Palm Springs International Film Festival and Palm Springs International Shortfest. The first is held in January and the festival of short films is held in June. I’m not an expert on the subject, but I don’t know of any other area that has separate festivals celebrating feature length and short length films. It’s nice having two cinematic events to look forward to throughout the year. By the way, the International film festival will be in its 27th year next January and the Shortfest just notched its 20th year. Those are nice long runs for any film…festival. One of the best things about the film festival is that it gives die-hard movie buffs a chance to see films that don’t typically come to the standard multiplex. For example, this year the Audience Award for best narrative feature went to “Lakshmi,” a story based on the harrowing and heroic true events in the life of Lakshmi, a 13-year-old girl in India. However, all the big names and films that dominate the Oscars later in the year are represented as well. In 2014, “12 Years a Slave,” “American Hustle,” “Saving Mr. Banks,” “Gravity,” “Dallas Buyers Club” and other major productions won awards in Palm Springs. Taking in an evening movie – any time throughout the year – is always a good way to relax after spending an active day in La Quinta, Indian Wells, Palm Springs and the entire Coachella Valley. Topping off the day in the sun with an evening movie, watching one of the many choices you can make at the Palm Springs International Film Festival, makes for a perfect balance, and better yet… a perfect day! Of course, a challenging day on the golf course is always a great “first course” for a full day of activities here. And with the abundance of excellent La Quinta real estate, as well as property in Indian Wells, the location couldn’t get any better. I invite you to use the search feature on our site to introduce yourself to the area. You can enter terms like: La Quinta Resort, Citrus Golf Course, Duna La Quinta, The Enclave, The Tradition, or other areas, golf courses and country clubs where you might want to locate. Finally, to get a visual overview of the area, including all the golf courses and great restaurants, be sure to download a copy of our golf resource guide. With the resource guide and our convenient search feature, you can really begin to get your Coachella Valley bearings. Then the only thing left to do is give us a call so we can really focus in on properties that will ideally suit your lifestyle. We have information and insights that go beyond what even the most experienced Internet searcher can discover. When you live in a place that has been the semi-official hideaway for the biggest names in entertainment and politics, you hear a lot of stories about “back then” and collect a lot of local lore. The Coachella Valley and Palm Springs area is that kind of place and a good part of the lore that you pick up here centers around the night life. From the 1940s through 1965, one of the hottest spots was a nightclub/supper club called the Chi Chi in Palm Springs. World class entertainers such as Jerry Lewis, Sophie Tucker, Louis Armstrong, Lena Horne, Edgar Bergen, Nat King Cole and Dorothy Dandridge graced the club’s circular stage. I imagine a lot of the guests who hit the Chi Chi for dinner and an evening of entertainment, needed a little relaxation after a day on the links. By the way, while the Chi Chi is gone, you can get a great feel for that era at the Riviera Hotel in Palm Springs. It was built by the Irwin brothers – who founded the Chi Chi – and Mark Shuman in 1952 and has undergone some recent renovations that bring back its original splendor and glamour. I also want to quickly mention The Purple Room Supper Club at the Club Trinidad Resort in Palm Springs, because it has a heritage that extends to the days of the Chi Chi. The Purple Room got its start in the 1960s – when you could find Frank Sinatra and the Rat Pack there – but changed through the years. Fortunately, it’s been revived and today hosts some great entertainment and dining six nights a week. Acts change every night so you can enjoy all styles of music, hilarious celebrity impersonators, comedy and more. Its restaurant, Trio, offers an extensive menu. You’ll find that Trio supports local, organic and sustainable agriculture; you’ll be impressed by the quality. Clubs like The Purple Room really create a balanced lifestyle in this area. There are activities that get you outside during the daytime and then entertainment to keep you, well, entertained at night. Of course, an evening at a top quality restaurant with family and friends is always a wonderful way to spend some time as the sun sets. By the way, not only does our free Golf Course Resource Guide give you all the important details on courses in the La Quinta, Indio, Indian Wells, Palm Desert and Rancho Mirage area, you’ll find an extensive listing of restaurants. Download it today and look it over. As you scan the map in the guide, you’ll be able to quickly visualize how convenient developments such as the La Quinta Resort are to everywhere you’ll want to go, whether it’s a great restaurant, the shops in Old Town La Quinta or one of the neighboring courses, such as the PGA West in La Quinta, The Hideaway Country Club, Indian Ridge Country Club, and many more. This is one of the greatest single assets regarding La Quinta real estate, Indian Wells real estate and property throughout the Palm Springs area: everything is convenient. When you want to be doing things and not just spending time behind the wheel of your car, this is the place to be – just like it was for the Rat Pack.